According to the 2015 Genworth Cost of Care Survey, the annual cost of assisted living facilities around Cincinnati are above the national average. In Cincinnati you will spend an average $49,320 per year and this is about $6,000 more than the nationwide average. This translates to about $4,110 per month. Remember the costs will vary from one Cincinnati assisted living home to another. The nursing home care services, as expected, are more expensive than assisted living care. You will pay an average of $83,950 per year for nursing home care semi-private room and $97,455 for a private room. The home health care services are about $44,341 per year for homemaker services and $46,904 for the home health aide services. Cincinnati, Ohio is an excellent retirement choice for senior veterans, especially since it has plenty of nursing homes and assisted living centers. The state of Ohio requires assisted living homes to provide up to 120 days of part-time skilled nursing services, have skilled nursing services that may be provided by hospice or by an outside licensed home healthcare agency. More so, the state says that bathroom facilities can be shared by up to 8 residents for facilities that were constructed before April 2007. Facilities that were constructed after that date should have a bathroom for each living unit. The assisted living facilities are located all around Cincinnati and some of the common facilities include: the Hyde Park Health Center, Barrington of Oakley, Lianfair Retirement Community and Brookdale Finneytown, among others. The costs and services offered in these facilities are different yet similar in some ways. Here are a few services that are offered by almost all Cincinnati, Ohio Assisted Living Centers. Shared (up to 4 people) or individual/private living units (from single to multi-room apartments) with cooking facilities. A common dining room where daily meals are served. Assistance with self-administered medications or administration of medications. Personal care services, including help with some daily activities such as bathing, eating and dressing. Basic utilities like electricity and water. Some facilities provide Internet, cable TV and more. Social and recreational activities including holiday parties, birthday parties, religious services, trips to museums, movie nights and game nights, among others. 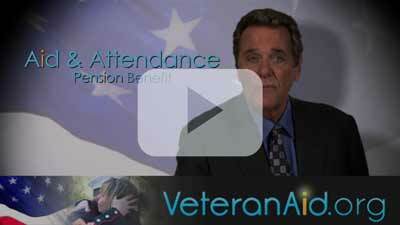 Cincinnati veterans in need of medical help and/ or A&A pension need to visit VeteranAid.org for the application process and requirements for eligibility. Veterans are given an opportunity to volunteer at the Cincinnati Medical VA center. For those that do not have the time to volunteer they can also donate cash using the E-Donate platform. For those that love history and museums there is the Cincinnati Goes to War museum that will take you way back the world war II.